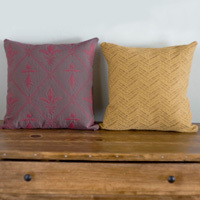 I make throw pillow covers and other home décor items to add the finishing touch in your wonderful home! I seek out one of a kind, high-quality fabrics for my pillows and include an invisible zipper on each cover for easy removal. I also stencil pillow covers with my own illustrations or hand-dye them to create ombre and dip-dyed styles. 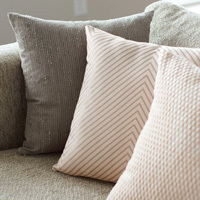 Throw pillows are such an easy and inexpensive way to change up the style in a room, and my pillow covers are sure to help complete your unique décor!